Could you imagine what the world would be like without our modern advances? Without access to online tools like Dropbox that make saving our digital works? Without the very smartphones that we keep on or near our bodies at almost every hour of the day? Without the conveniences provided to us by these various consumer electronics and digital platforms? Further, incessantly changing expectations and rapid development have led to the application and implementation of more advanced technologies; every year, we’re introduced to better tools that enable us to do more things (and to do them better). Earlier this year at the 2015 International CES, we got a glimpse at some of the coolest new consumer electronics – from a telepresence robot to an artificially intelligent belt that adjusts to your comfort level throughout the day. Now almost a full year in, we find that these trends in consumer electronics haven’t changed – with increases in the application of things like artificial intelligence (AI), robotics, and virtual reality, the future of consumer gadgets seems closer to our 1980s sentiments involving robot companions, hoverboards, and immersive virtual reality environments. Below, we take a look at some of these consumer electronic trends, and reached out to various companies to provide a critical look at how such trends will affect our modern relationship with technology. This series on consumer electronics is brought to you in partnership with CEA. In 2014, AI startups (including those companies dealing with machine learning, natural language learning, and predictive APIs) saw a 302 percent increase in overall funding for the industry. The overall total amounted to $309 million across 40 deals. By the end of this year, it would not be surprising to see similar numbers, with companies like Kono and Charlie taking advantage of AI to power their personal assistant apps. But AI is increasingly seeing wider application. For example, through a user’s smartphone, Driversiti enables a driver to utilize their phone’s sensors to transform their cars into “situational awareness safety devices”. Effectively, the company’s consumer product creates a connected car ecosystem that attempts to understand a user’s driving behavior through machine learning and AI – two things that are essential baselines for autonomous drive, according to Driversiti CEO, Sascha Simon. 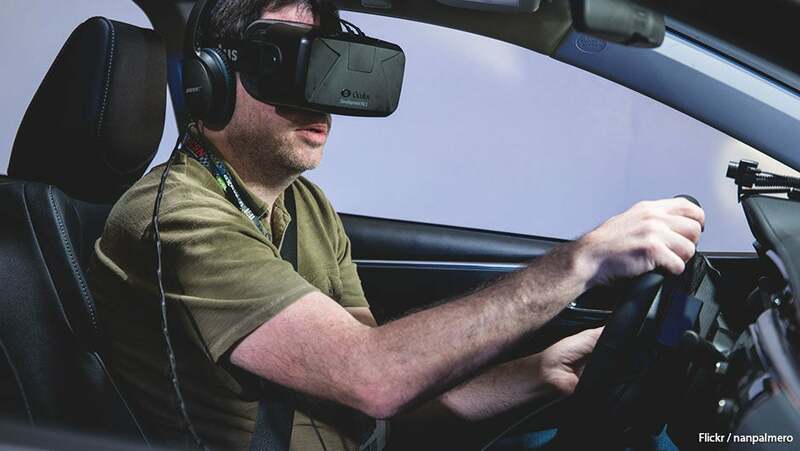 “We want to bring mobile safety to the roads, to the extent that smartphones will help drivers make more informed decisions while partaking in one of the most dangerous activities that they perform on the most frequent basis,” said Simon. Similarly, companies in the robotics space saw a boost in funding in 2014 – up to $341.3 million from $250.7 million in 2013 – and it kicked off 2015 with $51.9 million in funding halfway through January. So far, we’ve seen everything from education robots engaging kids in fundamental STEM skills to robots being used to improve our everyday telecommuting experience. Fetch Robotics is a company that builds robot systems specifically for the logistics industry. The robots they design work alongside human workers, performing repetitive tasks (such as warehouse delivery or picking and packing things). “Robotics can and is having an impact all over the world,” said Fetch Robotics CEO Melonee Wise. Virtual reality and augmented reality startups have raised more than $1 billion since the start of 2014. Massive successes from companies like Magic Leap (with its nearly $600 million investment from Google) and Oculus (which was acquired by Facebook in early 2014) indicate a significant interest in VR/AR technology. Which is great for consumers, for whom such technologies can impact lives in many surprising ways. With top firms like Rothenberg Ventures, Google Ventures, Andreessen Horowitz, and Intel Capital, we’re certain to see many more applications of VR/AR in consumer electronics. Want to learn more about the trends impacting consumer electronics? Register now for Innovate this upcoming November 8 to November 10 in New York City. Update: An earlier copy of this article inaccurately attributed Sascha Simon’s quotes to Kelsey Simmons. The EU has passed the Copyright Directive, a contentious piece of legislation that updates and overhauls online copyright laws in Europe. What does that mean for parody, quotations, and memes? Take a look at what the new law means for your online experience. Ronald Barba was the previous managing editor of Tech.Co. His primary story interests include industry trends, consumer-facing apps/products, the startup lifestyle, business ethics, diversity in tech, and what-is-this-bullsh*t things. Aside from writing about startups and entrepreneurship, Ronald is interested in 'Doctor Who', Murakami, 'The Mindy Project', and fried chicken. He is currently based in New York because he mistakenly studied philosophy in college and is now a "writer". Tweet @RonaldPBarba.